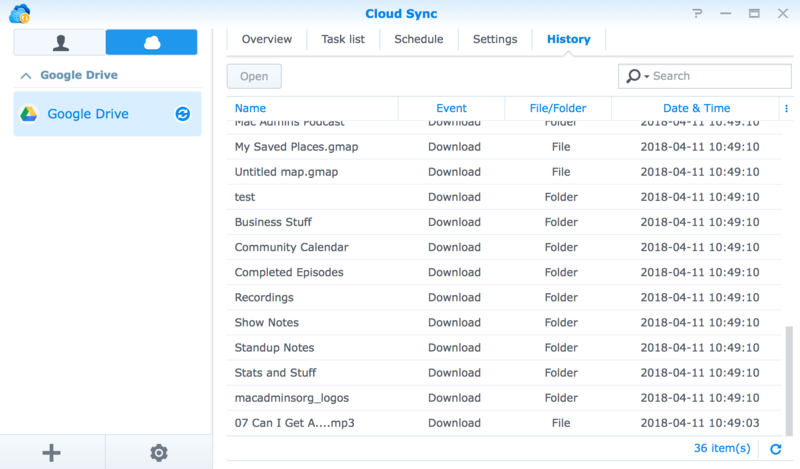 A Synology can act as a local file server that is used to share a folder from a cloud account. 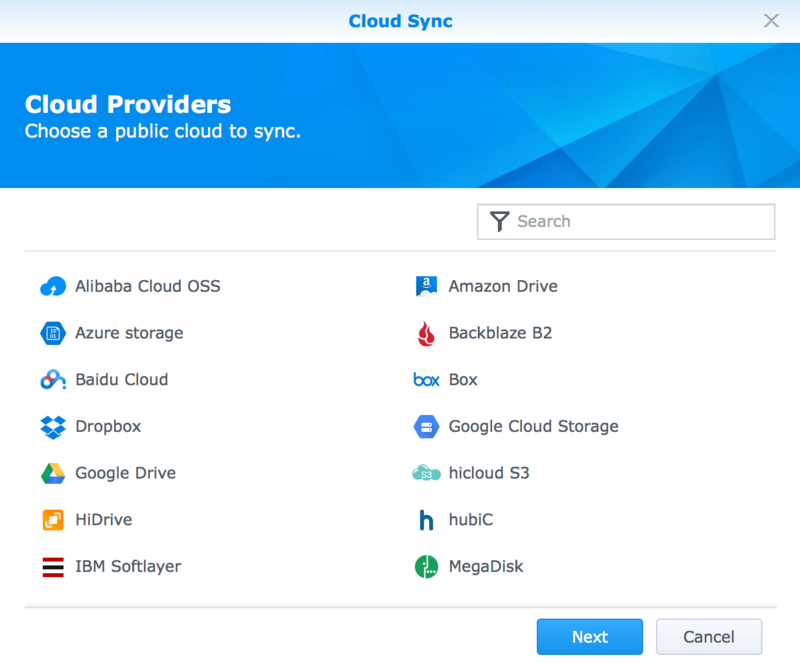 You can use accounts with from Backblaze, Google Drive, Amazon, Alibaba, Dropbox, Azure, and others. 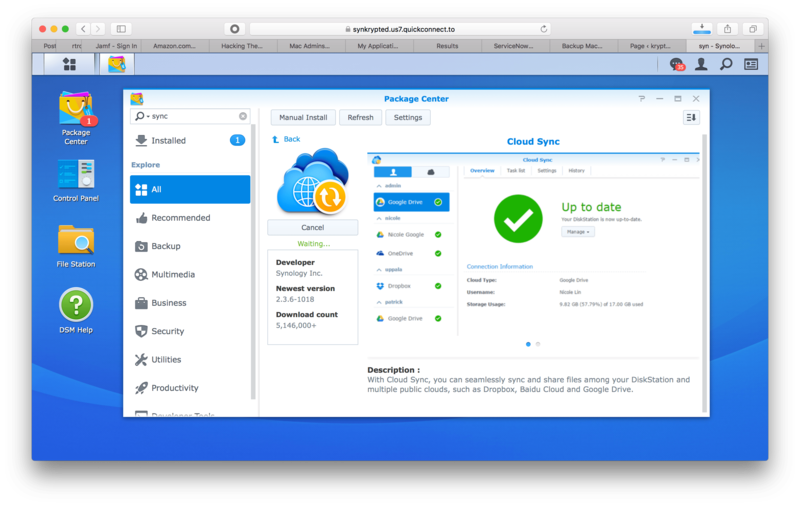 This means you can use a Synology to provide LAN access to cloud solutions. 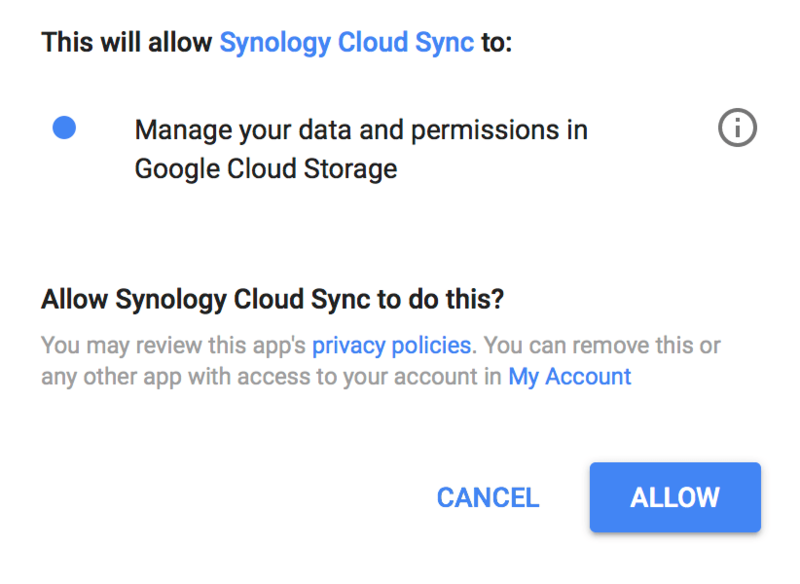 Before you do, make sure you understand that if changes are made in the cloud and on a client computer at the same time, that you will end up not knowing which is right and so file-locking issues will come up. It’s best to use this strategy for home environments or come up with another mechanism for locking files. 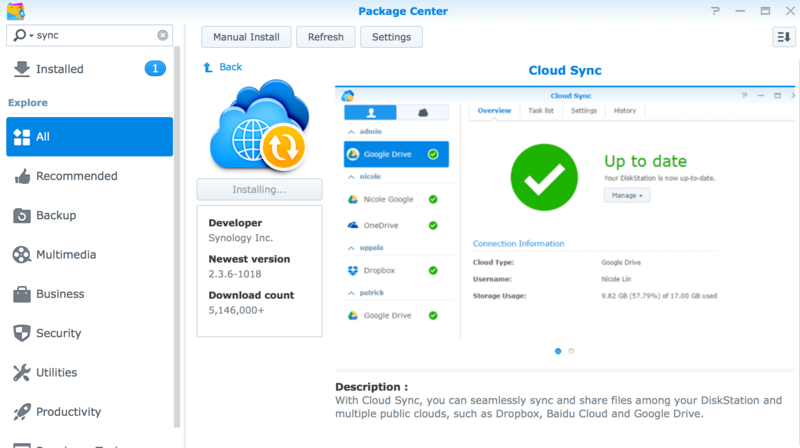 If you choose to use the sync option, open Package Center and search for Cloud Sync. Click Install to install the package. 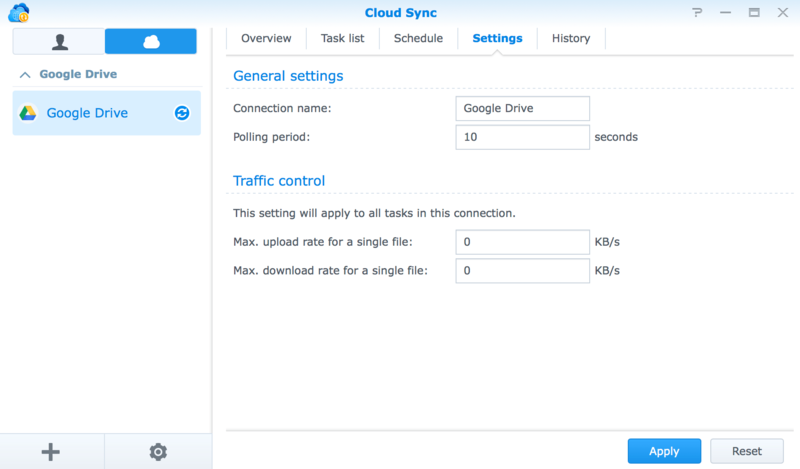 Once installed, choose the cloud you’d like to sync to your local network. For this example, we’ll use Google Drive. Click on that option and then when prompted, select the account to use (if you have multiple accounts you access). 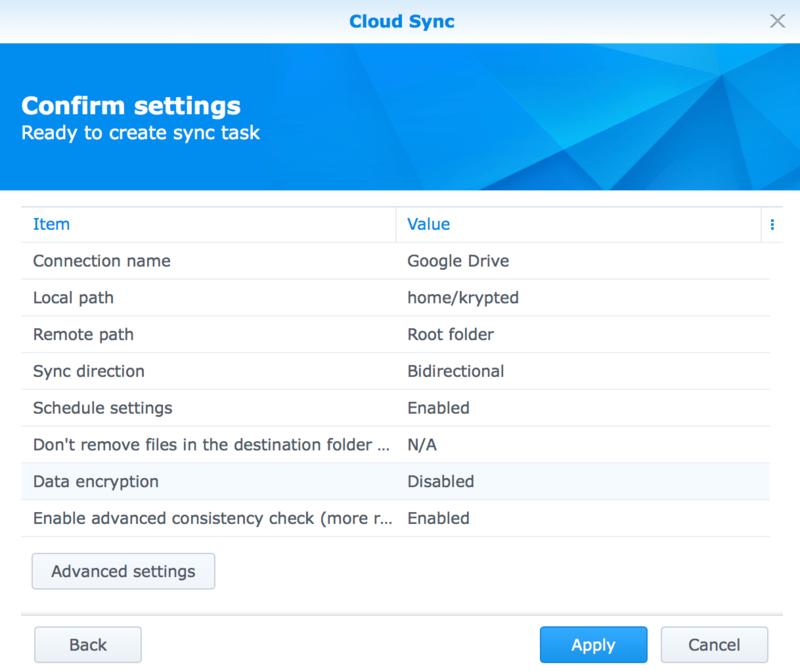 Once you’ve selected an account, you need to give an entitlement to the Synology to sync with that api. 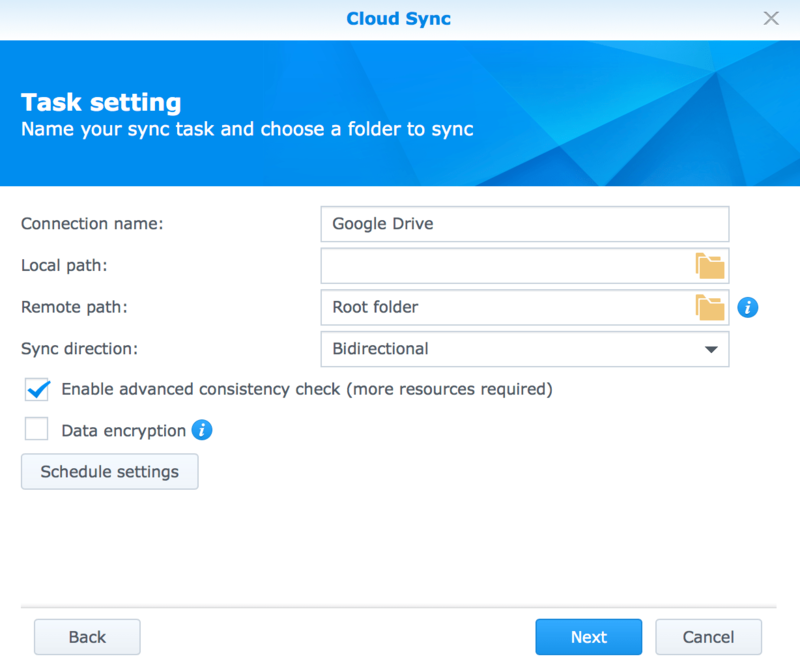 Next, configure how the data will be stored on the Synology. Do so by providing a name to the connection and choosing a path on your local storage. 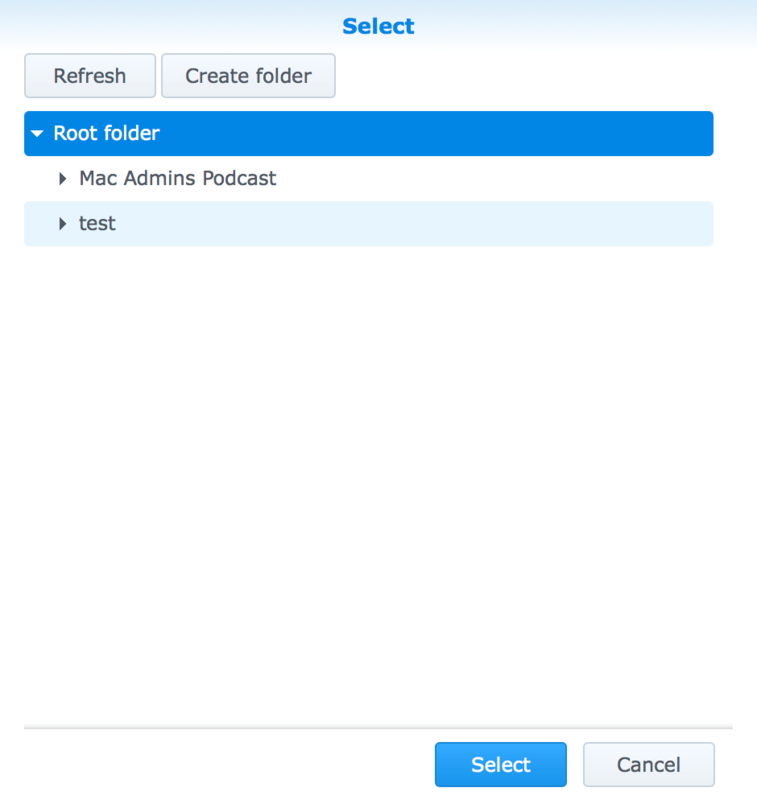 You can also create a folder on the Synology to then share. 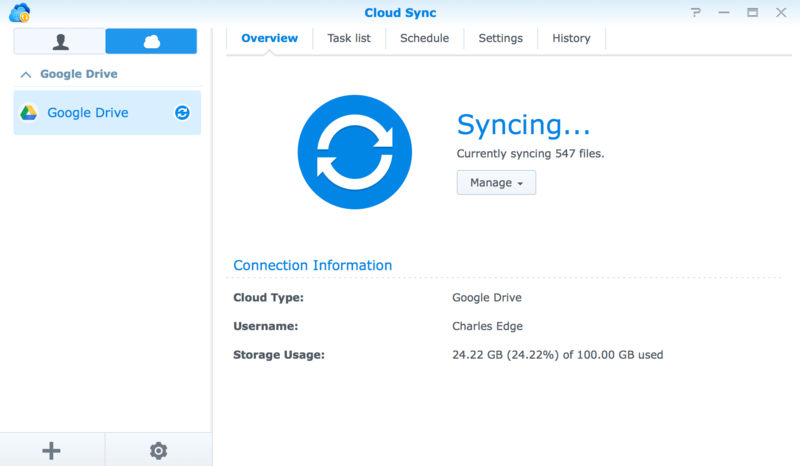 We’ll do so here and then click OK.
Then select .which folder on your cloud volume (in this case, my Google Drive) that you want to sync and click Select. Select when the sync will run. In this example, every hour. Click OK and then Next. 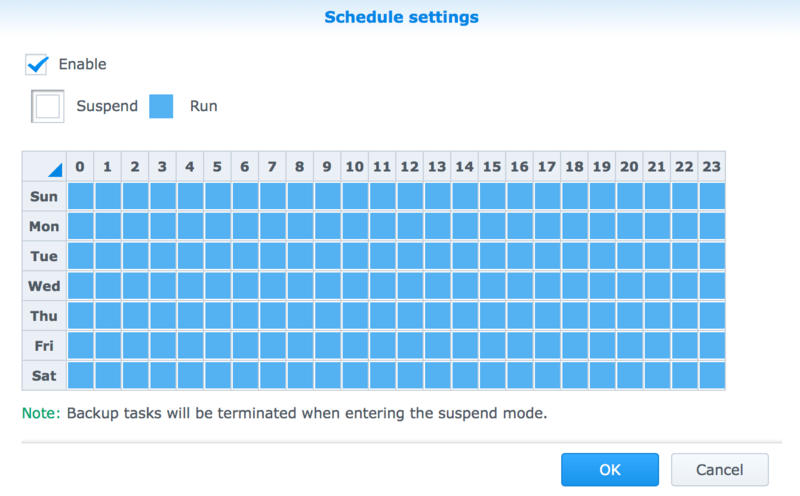 You’ll be shown an overview of the options you selected. Click Apply. And then the first sync will start. While the sync is running, let’s click Settings and review the options for throttling speeds (so as not to destroy slower WAN links). Click History to see logs. And viola, you now have a local copy of cloud accounts!